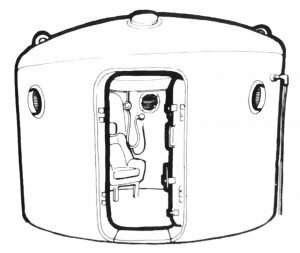 Oxygen Therapy is the use of oxygen in a pressurised environment. This increases the volume of oxygen delivered to the brain and body tissues to enhance, repair, restore and accelerate the body’s natural healing responses. The most effective method is in our multi-person Barochamber. Breathing 100% oxygen through a mask, the air pressure is very slowly increased to a maximum of 2.0 atmospheres (equivalent to diving 10m or 33ft underwater), substantially increasing the absorption of the oxygen into the bloodstream. Where the pressurised environment is not suitable for some, we offer an alternative, using an Oxygen Concentrator via a mask or nasal cannula (tube), in one of our comfortable therapy rooms. The goal in physiotherapy is to provide a safe environment in which to improve strength, balance, fitness and function. Our specialist Neuro-Physiotherapists work together with the individual to create a one-to-one tailored treatment plan. APS is a comfortable, non-invasive therapy that uses an Action Potential Simulation machine to send a micro-current signal to the body using electrode pads, helping the body to recover and regenerate as well as increase cellular energy. For more information, or to book any of our Therapies, please get in touch.